Learn more about how Kelly’s gives you the Edge! KELLY'S® BEATS ALL OTHERS TO THE LIMIT! We are the makers of the FAMOUS ORIGINAL #1 HAND-SEWN Anise Scented Soft Plastic Bass Fishing Worm Lures. A Family-Owned Business since 1960. All Of Our Bass Fishing Soft Plastic Pre-Rigged Worms are Made and Assembled in the U.S.A., Not Mexico or China. With so many choices on the market today, sometimes it is hard to decide which plastic worm is the best. We want you to know You Have Found the BEST! Hands Down This is the Best Bass Catching Soft Plastic Pre-Rigged Worm Lure that you will ever use! Our Quality, Action and Results are Unmatched by our competitors. Try a Kellys Scented Bass Worm and you won’t be disappointed because Kellys Catch Fish! Where Other Lures Fail! Check out our 9 Styles! HAND-SEWN REALLY DOES MAKE THE DIFFERENCE! Kellys have reached the Ultimate in Soft Plastic Scented Worms. Our Secret Process of Annealing keeps our plastic worms Soft and Flexible for Good Action and gives our baits a Unique Blend of Fish-Catching Colors and Scent. This Distracts Fish from Their Traditional Habits and Gives You the Edge In Catching Bass! Kellys Pre-Rigged Plastic Bass Worms are made with High Quality Material and Craftsmanship, such as 17lb test Trilene XL line and Mustad hooks. We take No Shortcuts in making the Best! Every scented plastic worm is Hand-Poured, Each Hook and Leader is Hand-Tied and Hand-Sewn into the worm, Not molded in. This Creates a Natural Life-Like Action that Bass Can't Resist! The hooks are precisely sewn into the worm lure not only for Bass Attacks but also to give superior Tantalizing Body and Tail Action! The kind of Quality you get in one of our Bass fishing worms gives you Full Hooking and Holding Power in every cast! Others have tried to copy Kellys but there is No Substitution for our Quality, Action, Colors, Scent and Results! We're The Famous Original! We're the Best! We police our registered trademarks and color names in any language. 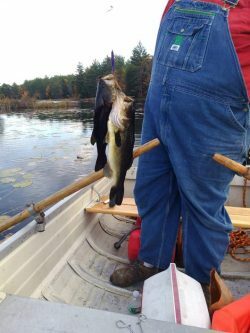 We take Pride in knowing our Bass Fishing Lures "Do Catch Fish"! The Hundreds of Thousands of letters and orders we have received over the years attest to this. So Don't Settle for Less, When Kellys are the Best! Copyright © 2019 Kelly's Bass Worms. All rights reserved. and may not be used without prior written consent.